A 14 year old kid wants to be governor of Vermont and he has a campaign in place to get him there. In Vermont the only requirement to be governor is that you have been a resident for 4 years. I'm thinking he can't be any worse than what's going on nationally, and we will find out on Tuesday next what everyone in Vermont thinks. That same issue came up way back when the movie Kid Co. came out. I guess it was never changed, hi hi. I'm not familiar with the movie but I like the idea of allowing a 14 year old to run for office. I do not think it is practical, but, on the other hand, what better lessons in life could be learned than by serving as governor of your state? The kid might just be smarter than the previous governors, hi hi. I'm not sure of the actual name of the movie. It's where a kid started selling manure. They tried to get him on tax evasion and he won by claiming they paid the taxes on the feed fed to the horses. A couple of years after I moved south. One hot summer I was driving out in a more ritzy area of the county. At the entrance to a large apartment complex there were four kids at a Lemonade Stand set up on a long cardtable and they had a wagon behind them with the large cans, and cooler of ice. We stopped and bought drinks from them, just because I admired them for doing so. We had not finished our drinks before a city inspector came buy and shut them down. Drove that way again about six weeks later and to my surprise there they were, only a whole lot more fancy now. They had a professional style carnival stand with a canvas top, small manual cash register, restaurant style juice dispensers, etc. I had to turn around and go back! On a back corner post was a row of framed documents. Vendor license, Food Service Certificate, Lease agreement to use the section of land they were on, EIN Certificate, and a few other framed documents. I had to ask how they managed all of that just selling Lemonade. The kids pointed to an older man and lady sitting in fancier than normal lawn chairs in the shade behind the subdivision entrance sign. I walked over and introduced myself. He was just waiting for someone to lend an ear, and he really had the gift to gab. The main thing he said was, when he was a kid he too sold lemonade and newspapers on a street corner. His sister handled the lemonade and he sold the newspapers. That little bit of money they made meant having shoes and clothes for school. Government has taken away the ability for anyone to get a fresh start and learn work ethics. I was appalled when the city closed down the kids lemonade stand! It's not the money, it's the principle of the thing! I had no problem getting the necessary licenses, and my wife here already had her certificate from working in a restaurant. We bought the required things necessary to pass all the inspections. The only problem so far is we have to be here while the stand is open, and hope that will change soon. About then, someone came up and he was ready to start his spiel all over again, hi hi. Eliminating government regulations is the name of the game these days. This lemonade story is a clear example of over-regulation. However, the laws are in place for good reason. The fact that you are an under aged minor vending drinks doesn't exempt you. As you say, there is a principle involved. Speaking of ... I would have to guess that all the equipment and licenses belong to the old couple. Thus it is their business that the kids are running, which might explain why the couple has to be on the premises. I'm certain they have all the legal requirements covered for operating a business, but are they violating any child labor laws? BTW: Bernie Sanders won the Vermont primary, not the kid. The child labor law act ONLY protects children from working in fields that may be deemed hazardous. Her in TN a child under the age of 16 may not work more than 8 hours a day or 40 hours a week while school is not in session, or 16 hours per week while school is in session. There are some exceptions regarding after school work accumulating more than 16 hours per week, and does not apply to family owned businesses and the owners children. A child age 16 or 17 is not restricted to the number of hours they may work, but can decline work over 8 hours or 40 hours a week. Over age 17, no restrictions. As far as the old folks having to be there. YES, a license holder must be on the premises for each regulated part of the operation requiring a license. This has been true in all states for over 50 years, and for radio for something like 100 years, hi hi. I know very little about the labor laws, but it's hard to believe children are protected only from hazardous work. It suggests kids can be used in place of migrant workers on farms to pick crops, for example, without violating any laws. Yes, the owners' kids should be exempt, but it's hard work nonetheless. Well I didn't mention all the laws. Young children cannot be solicited for jobs in most states. They are more or less allowed to pick what job they would like to do, then see if they can live up to the employers expectations. I only brought up the age ranges for TN state laws, but they are fairly universal. Heck, when I was in grade school, I had several easy jobs I did for several companies in the strip mall I passed on the way home from school. Most of those were taking the trash out to the dumpster, but a few included other chores like refilling the foam shave cream dispensers at the barber shop, and washing them first of course. I was not allowed to empty and refill the comb sterilizing containers because they contained alcohol, which made them fall into the hazardous category. At the variety store, I ran an oil-mop up and down the aisles, put things I saw out of place from one shelf back on the shelf they belonged. Then I would move on to our family owned business and worked there until closing time. When I turned 18 and got my chauffeurs license, I could then make deliveries for the pharmacy. However, I was usually making deliveries for our family business. I would always swing by the pharmacy to see if they had something going somewhere along the route I would be on. Actually, this was not a good idea, because of the advertising on the truck made people expect something other than the pills I was delivering to them, hi hi. The best job I had as a kid was mopping the floors in a bakery after they closed shop. I had to do the front display area as well as the back room where they did all the baking. The pay was cheap, but I had permission to eat all the cookies I cared to on the premises. That's the only reason I worked there as long as I did. Even so I don't think I did that for more than a couple months. I was being facetious about the kids selling lemonade and their compliance with labor laws. Like most of us, that old couple didn't like to see Big Brother stomping on the rights of street urchins to sell their wares. I guess the point is that the laws are not necessarily fair, but they are intended to be applied equitably. The kids only wanted to make a few pennies operating a business. Well, it's not that simple here in America and that's part of the lesson they needed to learn. Having worked in the food service industry, and as part owner of a couple of restaurants, I'm well aware of how easily foods and what they are served on can become contaminated. I really miss being able to buy the stick bread pretzels sold downtown by charity groups and churches. Standing on a street corner with brown paper bags of pretzels absorbing fumes from the bus exhaust, a little damp from a small sprinkling rain, and sticking to the paper bags, imparted a flavor that cannot be duplicated in a sterile environment. We know the risk of buying lemonade from a kids stand, or pretzels exposed to open air from a street vendor, but the risk is so low it shouldn't have been enough of a concern to put a stop to it. Although, that being said, a lot of things are being laced with drugs these days, including things you buy in a store. 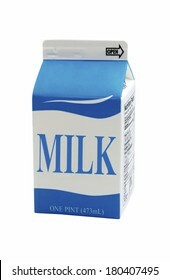 You must remember the good old days when you could buy a carton of milk, unscrew the cap, and start drinking. That's not possible anymore with all the anti-tampering seals they put on foods these days. The producers were not happy about the requirement to protect the merchandise from being contaminated by a crazed miscreant who thought it would be funny to poison half the population. All that protection costs the consumer in the long run. But what are the alternatives? Somebody, or a lot of somebody's, is going to get real sick if they stop protecting foodstuff. The kids selling lemonade probably were not any more of a risk than the corner grocery store, but they ARE a risk. I'd take my chances and buy their lemonade, but I'd feel a lot safer drinking the chemicals WalMart sells and calls lemonade. I had to change to a cap on my product that seals the bottle. Most annoying for the people who buy it, as they have to remove the cap, take off the seal, and you know they never come all the way off, which can cause a leak under the cap. Not only did this added part cost more, it was extra work to install. I finally changed to an even more expensive cap with a different type of seal that you only remove the center of the seal and leave the glued ring in place. This cap has a compression seal so cannot leak, even if they try to remove the outer ring of the glued on seal, so I'm happy with the lid, not so happy with the higher price. I buy cream, the real thing, in quart containers like the one in the picture. The majority of brands have a round plastic spout with a pull tab to provide access to the cream. However, some still do it the old fashioned way and simply fold and seal the cardboard top into a pyramid kind of shape. You have to rip apart the edge, peel the two sides apart, and then hope you can also peel apart the inner fold without destroying the lamination. I only buy cream with those old fashioned tops when I can't get it any other way. I have yet to to open one of those tops cleanly. I don't care how it looks, but the cream coagulates on the folded spout because the plastic coating is missing after I finally rip it all open. I can't believe that I'm the only old codger who has this problem, but I will say they are indeed tamper proof at no additional cost. you guys would simply die if you were to observe the way they handle food here! the baguettes... oh mon dieu! you go to a bakery and they don't use no sissy gloves. they plop the bread onto the counter and if you don't have a bag, they'll give you a sheet of waxed paper that barely covers the middle. in a grocery store you put them into a bag that is always 3" too short (you have to bring in a cart from outside, as the in store baskets are filthy). you then carefully arrange the bread so as not to touch any sides. eggs are never refrigerated, but oddly enough, i've only met a rotten egg once in nearly 6 years. I cringe at what you describe of food handling, except for the food prep part. I realize meats, poultry, and fish can be contaminated which is why they now have warning labels on all the packages with instructions on how to wash your hands. I don't see the absolute necessity of keeping the poultry cutlery separated from the veggie knife, however. It's all going to be cooked in the same pot, most likely, and the germs will be scalded no matter what you used to cut up the chunks. The idea in many recipes is to combine ingredients so that the flavors can be infused into one another. So what's the point of separating your chef's knives? On the other hand, you don't want to leave the kitchen counter with salmonella on your fingers. THAT could be risky. But going to extremes prepping the food seems a bit ... extreme. I'll go with the French Chef on that one. One of our dairies back home, used to package a second line cream (from the same vat as the normal cream, after they finished their normal run) in a round paper cylinder that was sealed on the end, filled and then turned 90 degrees to seal the top. My mom preferred these end of run filled cylinders. This was after they quit using the glass pint bottles for cream. I think I saw school milk packaged this way also a number of years later. Mom liked them because they took up almost no room in the fridge and stacked, don't ask me how, hi hi. My grandpa, who lived next door to us when I was a kid, ran a dairy. He sold milk out of his house. There was a walk-in cooler with blocks of ice in it to keep things at a safe temperature. People had to walk across the back yard and ring the doorbell to get their dairy products. He also had a home delivery service which one of his sons ran the route on a daily basis. Those were the days of wooden cases holding glass milk bottles. To be honest I don't recall seeing the paper cylinders of which you speak. It's likely they came after the dairy went out of business, but it seems that I do recall people complaining about paper cartons. It's all a vague memory now. I just spent an hour looking online for the type of tubes I was talking about. I guess they are a thing of the past. Couldn't find anything even close. Our milk was delivered by Woodlawn Farm Dairy for decades. My wife remembers sour cream coming in those tubes and served by restaurants. Still have not found any though to show you.